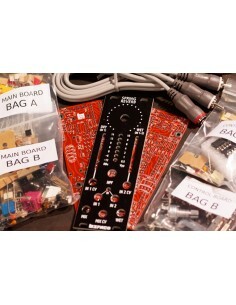 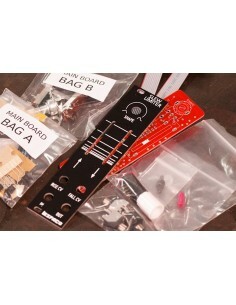 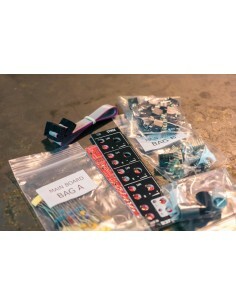 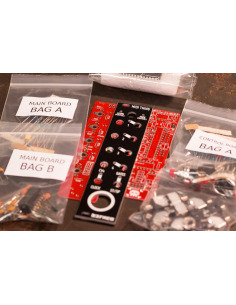 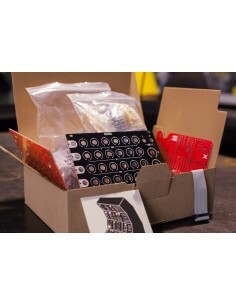 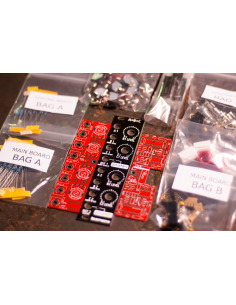 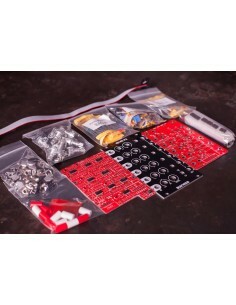 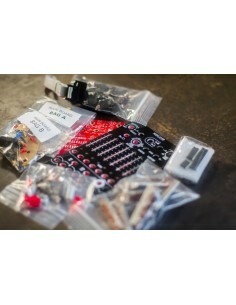 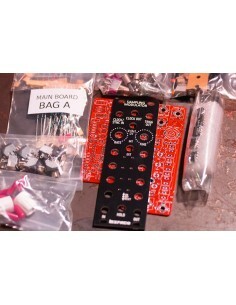 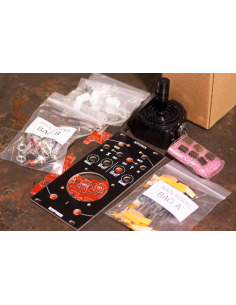 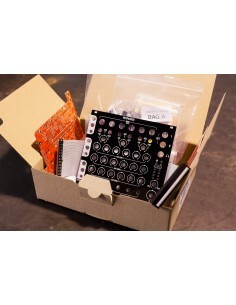 DIY kit version of our Muxlicer Eurorack module. 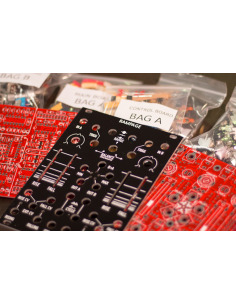 Muxlicer is a sequential signal processor designed for add a huge range of special functions to your modular setup in the minimum space. 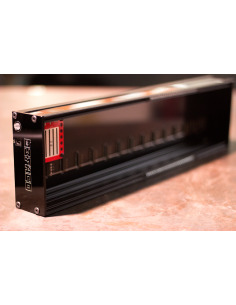 The module is designed with high “function to HP ratio” philosophy , to have maximum flexibility in minimum space. 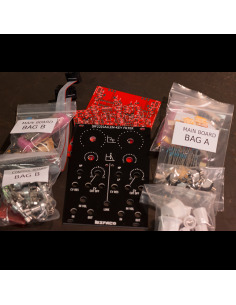 – Route any modular signal from one IN up to eight different Outs or viceversa. 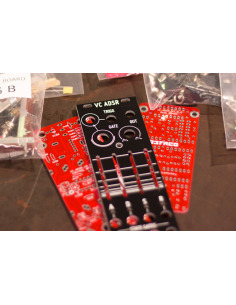 – Generate CV and Gate signals, been able to work as sequential voltage source a.k.a. 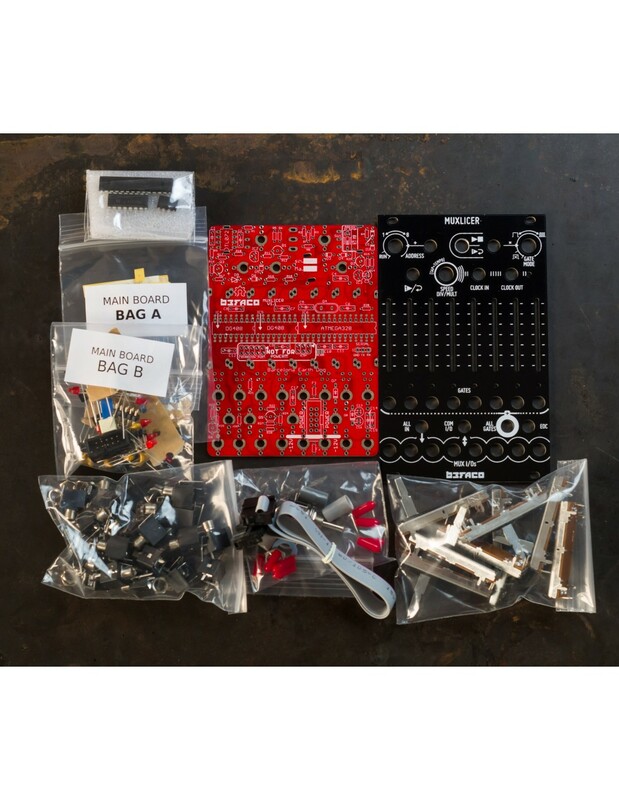 sequencer. 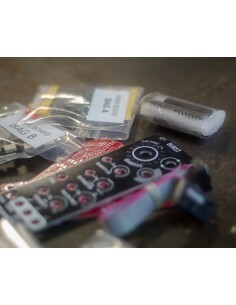 – Cut audio signals in rhythmical slices with independent volume. 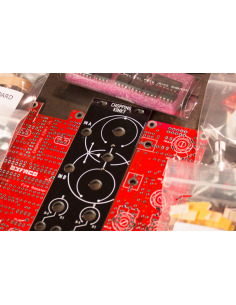 – Generate complex and dynamic patterns from any audio or modulation signal. 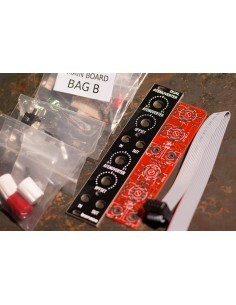 – Create powerful Gate sequences with control voltage retriggering for each step. 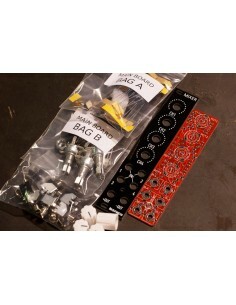 – Select easily when your signals act on your patch with the Address function.